Bob de la Fuente is a founding shareholder of LSRCF and the head of the Firm’s Land Use, Zoning & Local Government Group. 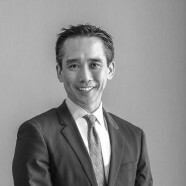 He joined the Firm after a ten-year partnership at Tew Cardenas, LLP. Mr. de la Fuente also served as Director of Florida Development for one of South Florida’s largest land owners from 2004-2006. Mr. de la Fuente has represented a variety of clients in matters requiring administrative and public hearing approvals throughout South Florida including Miami-Dade County, the City of Miami Beach, the City of Miami and the City of Hialeah. He has extensive experience obtaining approvals for his clients’ projects, including, but not limited to, Historic Preservation Board approvals, Design Review Board approvals, Variances, Special Exceptions, and Major Use Special Permit approvals. Through these efforts, Mr. de la Fuente has enjoyed appearing before Zoning Boards, Planning Boards, Historic Preservation Boards, City Commissions, City Councils, and many other administrative bodies. He has also served as board counsel to not-for-profit agencies. As a development executive, Mr. de la Fuente supervised the entitlement and development processes of several high rise mixed-use towers located in Miami and Miami Beach. This invaluable business experience uniquely complements the development-related legal experience Mr. de la Fuente obtained as an attorney. His collective experience has yielded significant ties and contacts to Miami-Dade County, Miami, Miami Beach, and other Miami-Dade County municipalities, groups and agencies. Mr. de la Fuente has also served as procurement counsel for private entities and on behalf of quasi-public not-for-profit entities, guiding his clients through local, county and state procurement regulations through competitive processes.